Halliburton has announced the release of Marine Sentry™ 3000, a rotating control device that provides a pressure control solution by creating a seal around the drill string and tool joints for safer containment of fluids during conventional or controlled pressure drilling operations. The device is mounted on a rig’s surface blowout preventer and monitors key functions to help reduce cost and environmental impact while improving overall well safety in pressure critical locations. Marine Sentry is equipped with remote latching for secure equipment function that eliminates manual operation and provides wireless monitoring of bearing revolution per minute, pressure and temperature controls data. It also includes a visual workstation to display all critical information to help prevent accidental unlatch of the bearing system. Operators can deploy the device in a number of applications including managed pressure or underbalanced drilling, shallow gas, and abnormally pressured formations in extended-reach horizontal and ultra-deep vertical wells. It is rated to 3,000 psi static pressure and 2,000 psi dynamic pressure to help provide increased reliability and tight control of drilling fluids to meet safety standards. 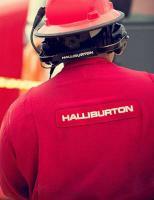 An operator recently asked Halliburton to provide an integrated solution to safely and efficiently drill a reentry well in a Gulf of Mexico field that presented a number of challenges and risks due to narrow-pressure drilling windows. “Marine Sentry™ 3000 provided the closed drilling loop for the MPD system to mitigate risks allowing the operator to safely execute the program with no non-productive time,” says Derrick Lewis, strategic business manager of Halliburton Testing and Subsea GeoBalance Applications.